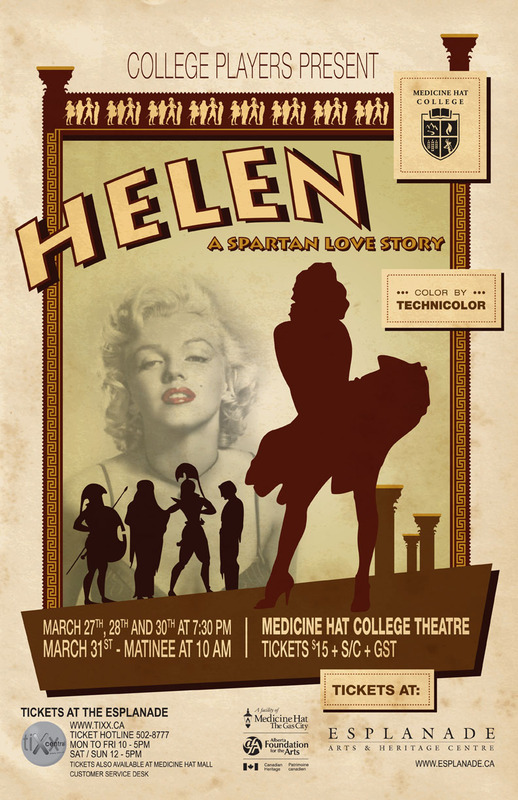 I attended the play Helen on Monday, March 30th and on the whole I enjoyed it. 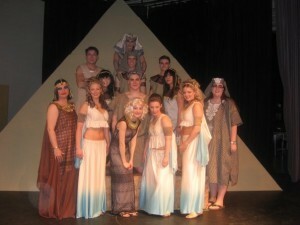 The cast were well versed in their rolls and acted them out to perfection and the set was well put together. The videography was well done and the sound effects were good. The play promotes something that seems like a mix of Hollywood and Spartan culture; however, the only time this became apparent really was near the end of the first act, near the end of the intermission, and the start of the second act. During these events, one of the actresses “up and quits” and is replaced by another. Other situations are the main actress being modeled after Marilyn Monroe, and some mannerisms that reflect and parallel the attitudes and actions of present day culture. These things aside, it was a fun experience to partake in and a welcome change to that of a movie or watching television. It is a different experience entirely to watch something on screen and know how many times it must have taken someone to get the line just right or act their part just right, then sit down to a play, that takes hours, days, or weeks to get down and present that just right for the audience. 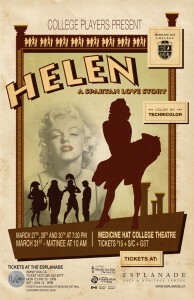 It was a great performance, you, the cast and crew of Helen. See the original post for Helen here. This entry was posted on Friday, April 3rd, 2009 at 12:56 PM and is filed under Medicine Hat College. You can follow any responses to this entry through the RSS 2.0 feed. You can leave a response, or trackback from your own site.